TechX365 - Is The Government Committed to UK Innovation Through IP? Last month, the UK Government released its response to a consultation on the Industrial Strategy for Intellectual Property (IP). Here are my first thoughts. I believe the strategy laid out is generally positive and at least shows that the Government is still very committed to supporting UK innovation through IP. In the context of London Tech Week, I was interested to see a new initiative for the West Midlands which brings together several Local Enterprise Partnerships (LEPs) and universities to provide financial and advisory support for West Midlands SMEs to develop and implement an IP strategy. The support for actual implementation is new (previously support was provided only for developing strategy under the various existing Growth initiatives, and SMEs were forced to find the time and money to implement on their own). This is described as a pilot, so hopefully, if successful, this will roll out across the country quickly, London included. I was also pleased to see that the idea of a voluntary IP register has been rejected. This was intended for IP rights that cannot presently be registered so would not have encompassed patents, trade marks and designs. Many responses (and my own view) suggested that this would add a layer of bureaucracy for little tangible benefit. There are already commercial providers for those that want to do this, and in practice, I've always seen little value in such registrations – these kinds of catalogues always seem like a mini-replica of the US copyright register but with no legal foundation. Elsewhere, a B2B toolkit is proposed with template agreements to help business collaborate in a safe way – and that seems like an excellent step forward. And finally, the response briefly notes that the UKIPO is working hard to ensure there is a clear post-Brexit strategy for IP. We know this is going on behind the scenes as some of my colleagues are intimately involved, but it is good to see repeated assertions that IP appears on the Government's Brexit agenda. If you've read this far, you'll be interested in IP and know that often it is the Cinderella corner of law - rarely considered carefully, expected to function faultlessly with little attention, but enormously valuable to the UK economy. Let's keep plugging away to ensure the IP ball isn't dropped during Brexit negotiations. 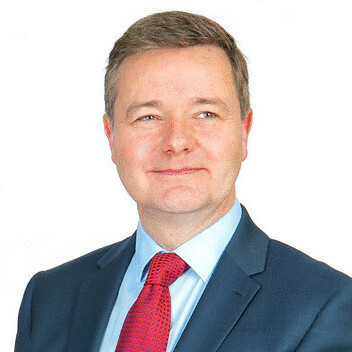 About the author: Andrew Mackenzie, Partner at IP law firm Cleveland Scott York, helps businesses register Intellectual Property Rights throughout the world and advises on commercial exploitation, enforcement and defence of those rights. He is a Legal 500 'Recommended Lawyer' and is listed as one of the World's Leading Patent Practitioners in the Intellectual Asset Management Patent 1000. Get in touch here.